Naughty or Nice? Take a Photo, Win Wellness! Wellness Natural Pet Food is sponsoring a Naughty or Nice Photo Contest this holiday season. It’s easy to enter! Just go to the Wellness Facebook page and enter your photo of your dog or cat being naughty or nice! You can enter up to four photos of your beloved companion animals doing what they do best. All entries must be uploaded by end of day December 22nd. 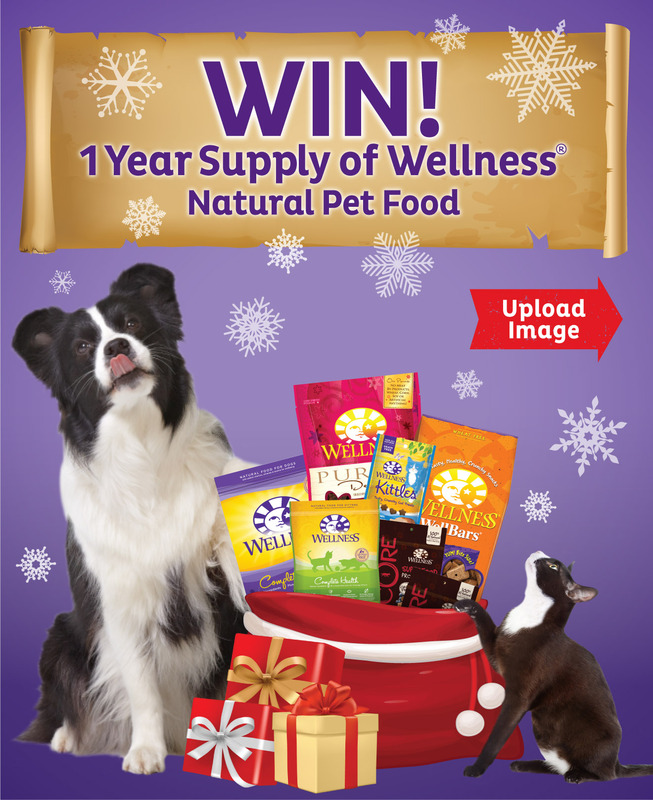 The winner- one dog and one cat- will win a year’s supply of Wellness Natural Pet Food! There’ll also be up to 10 runners-up that will win a Wellness dog or cat prize pack. So get to work, and get that perfect picture of your perfect dog or cat! And don’t worry, I’m sure Wellness won’t share naughty pictures with Santa! I saw cookies in that bag, so I entered too. Wish me luck! woo woo woo! « A Review of Caru- a New Dog Food for You! Thanks Rumpy. Mine is a naughty picture. Trust this Blog. I do.